In order to support your irritable bowel syndrome, you need to have a well balanced lifestyle made up of seven elements. I explain what they are in my video. What else besides the diet should I be looking at to control my IBS symptoms? Welcome to this video. Today I’m going to tell you about the different lifestyle pieces that make up a balanced lifestyle that supports your IBS. I consider that there are seven puzzle pieces that need to be put together to create this balanced lifestyle I’m talking about. 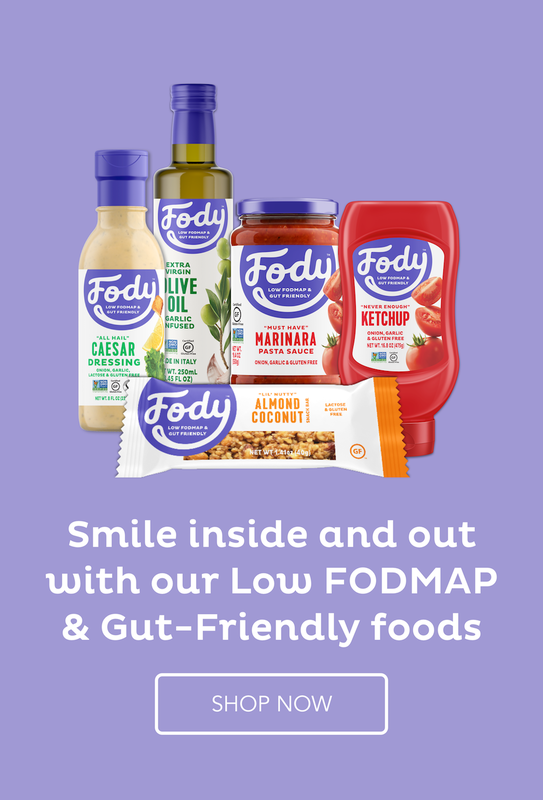 The first one – and that’s the main one, the foundation piece – is the diet, the low FODMAP diet. Without that you’re never going to succeed. So that’s your first piece to put in place. And then we move on to another six pieces. The next one is sleep. Getting eight hours of good quality sleep a night – that is so essential. Too many people under-sleep and aren’t even really aware of the damage that they’re doing to their health. They’re kind of walking around like zombies or they have that mid-afternoon dip, in which they look like they’re going to fall asleep at their desk. And they think that that’s completely normal. Well, it’s not. If you get eight hours quality sleep each night, then you are going to feel like a whole new person. The next one is relaxation. Stress is a killer for people with IBS. Even if we’re eating perfectly, that stress will irritate our gut. The brain-to-gut communication is faulty, and our gut will feel it. You can’t eliminate stress from your life. That’s impossible. You can eliminate certain stress – you can change your job, or get rid of your boyfriend or whatever – but stress is still going to come along. And it’s all about how you deal with that. You really have to learn some good relaxation techniques so that when stress arrives you can put those into place, and you’ll find that you’ll deal with the stress in a completely different way. The next puzzle piece is exercise. I have spoken about exercise before, and this is super essential, to just keep our guts moving along nicely and to keep us healthy in all sorts of other ways. The next puzzle piece is time for yourself. So many of us are busy running around from pillar to post, and we forget about actually dedicating a little time to ourselves. This could be in the form of a bath, sitting down, reading a book, doing something completely by yourself; perhaps going to a movie all by yourself. The next one is your family – time for your family. And this isn’t just running past each other in the house and saying goodbye and saying hello, and having a quick sort of hurried meal in front of the TV. This is about dedicated family time where you spend time with your spouse alone, separate from the children, and with each of the children separate from the others. And the last puzzle piece, is what’s called productive time. And this is not your work. This is where you actually produce something that you’re proud of. It could be in the form of a hobby. It doesn’t exclude you making money from it, but it’s not your main job. So it could be stamp collecting. It could be sewing. So you’ve produced something at the end of it. We, human beings, get such satisfaction out of something physical that we can see that’s been produced. That’s what productive time is. So if you can incorporate all of those seven pieces – that’s including the diet – into your lifestyle, you’ll never have to feel guilty again about neglecting an area of your life. You’ll have it all in place and you’ll find that your life is so much simpler, and that your IBS is now well supported. Good luck with implementing all those pieces into your life. Thank you for watching this video, and good bye. Chicken cacciatore is another of those classic dishes that I used to make a lot in the past but had forgotten about until I saw it in my ancient green book again recently. I served it with rice to soak up all those luscious juices but I still had plenty of sauce leftover to use in a pasta dish the next day. These recipes need minimal preparation and then you can leave them to cook while you get on with something else - my favourite sort. Add the chopped spring onions. and cook a little. Combine everything but the bell pepper and tomatoes. Cover and simmer for 35 minutes. Add the vegetables and cook covered for another 20 minutes. I’ve bee thinking about this dish lately for some reason. It’s been ages since I’ve made it, and it’s awfully good. Your version looks superb — thanks. It’s probably your cooler weather that is making you think of tummy-warming dishes like this. We are still eating them because the temperatures are still cool here too. Waiting eagerly for the first blast of warm weather. Hi, I’m new to your site, and your recipes look wonderful! I see that this one calls for chicken broth and tomato paste. Do you make your own broth (I searched for a recipe on your site but couldn’t find)? I live in the US and haven’t yet found a brand of chicken broth without onion. And I thought tomato paste was to be avoided. Thanks for any advice! Make your own chicken broth from a carcass with some meat on it and sliced carrots, celery the green parts of leeks and a bunch of herbs as well as seasoning. Fill the pot with water and boil until it reduces down to a tasty broth.It’s very easy. There are some store-bought broths without onion and garlic but it will depend on what you have where you live. In New Zealand we have Massel chicken broth which is great. The only reason they say tomato paste is high Fodmap is because of the concentration of tomatoes (which are low Fodmap) in it. Once you have diluted it in all the liquids that are in this recipe, the individual won’t be getting much at all. It is quite safe. I have a particular problem with fructose but had no issues with a serving of this dish. Thanks so much for the very helpful reply! We are still having cool weather here so this dish still worked well but, with your temperatures, it might be a bit much. Store it away for next winter.